I’ve always been a fan of taking traditional recipes and putting a bit of a spin on them. 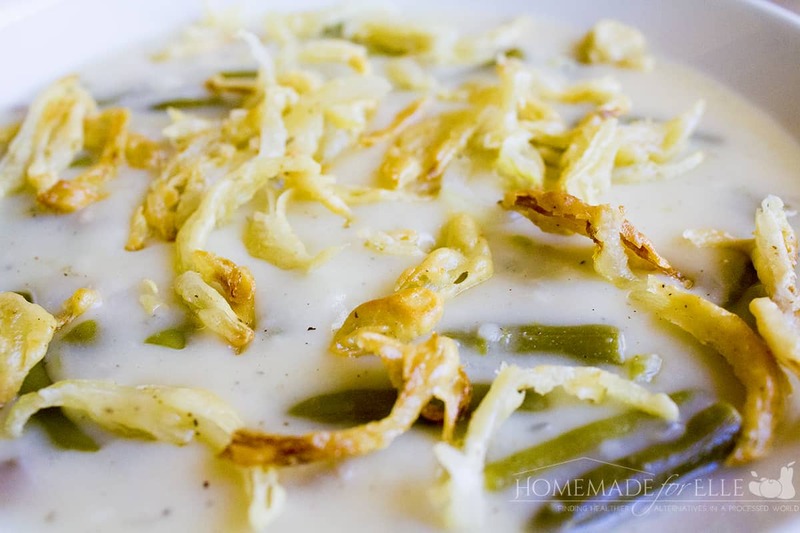 Green Bean Casserole is one of my absolute favorite holiday dishes, and a while ago, I decided to make it into a delicious soup! Green bean casserole soup is every bit as good, if not better, than the casserole. 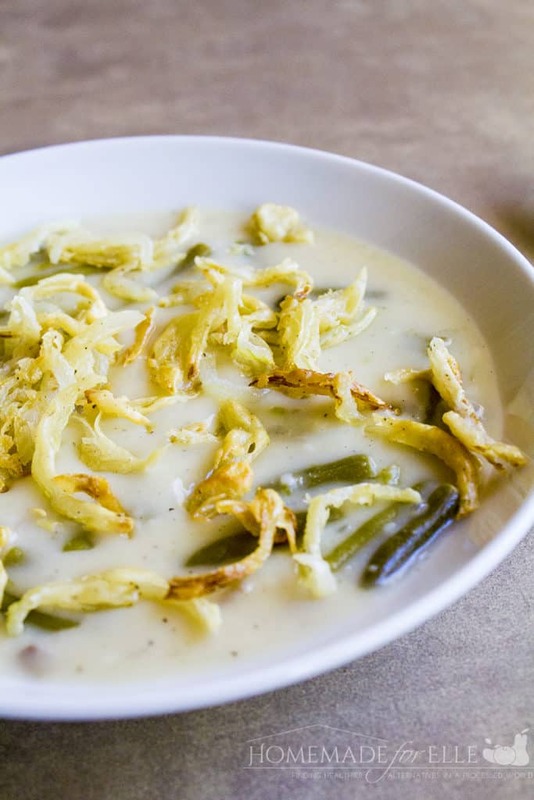 It’s a savory and creamy green bean soup, sprinkled with pan-fried crispy onion strips. It has all of the wonderful tastes of green bean casserole, but with the warmth and comfort of a soup. It’s seriously delicious, and now one of my favorite soups! 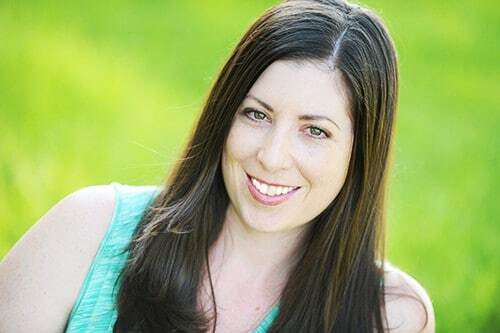 I have two secret ingredients in my green bean casserole soup that gives it a great flavor and makes it easy to prepare. 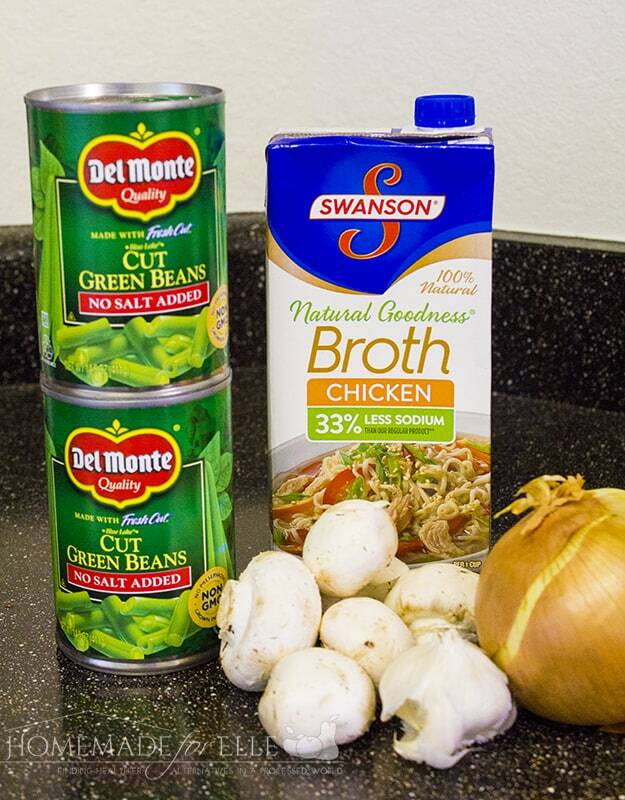 The first is Del Monte® Blue Lake® Cut Canned Green Beans. These green beans are the best because they are flavorful, high quality, and made simply with green beans, water and a dash of salt. I’ve also used fresh green beans and frozen green beans, and can never get them as tender as Del Monte® Blue Lake® Cut Green Beans, so they are perfect for this dish. In a large pot, over medium heat, add olive oil, onions, and mushrooms. Saute for 6 - 8 minutes, until softened. Add in green beans and chicken broth. In a small bowl, combine a few tablespoons of the milk with the flour, and whisk until smooth. Add the 2 cups of milk and the flour mixture to the soup, and stir well. Simmer for an additional 10 minutes. *If soup is too thin, you can combine another tablespoon of flour and milk, whisking together, then pouring it into the soup. If soup is too thick, you can add a little extra milk, until desired consistency. In a pan, over medium-high heat, add 1/2" of oil. Combine flour, milk, salt and pepper in a bowl, and mix until well combined. Add in onion strips, stirring until all onions are coated. Once oil is warm, add in a thin layer of the battered onions, and fry on each side until brown, about 1 - 2 minutes. Remove and repeat until all onion strips are cooked. 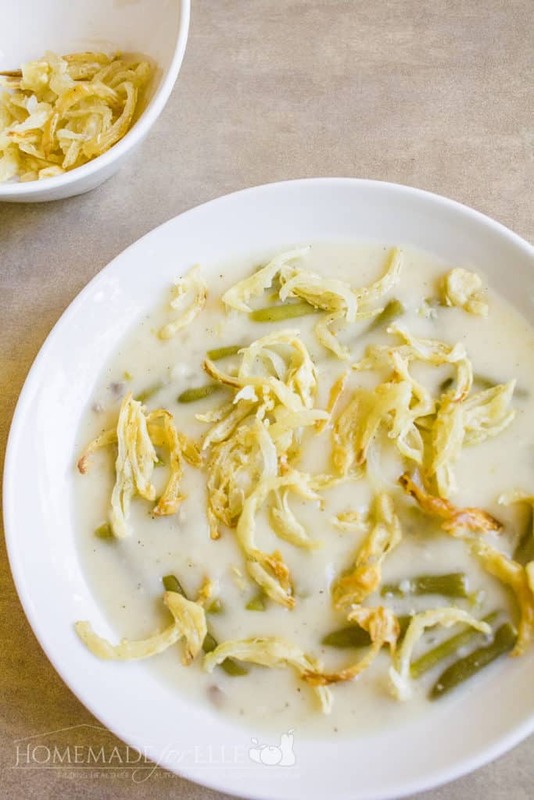 Serve up a bowl of green bean soup, and sprinkle on crispy onion strips. I love shopping for all of my holiday essentials at Target. They have a fantastic selection of fresh produce and canned goods at a great price. 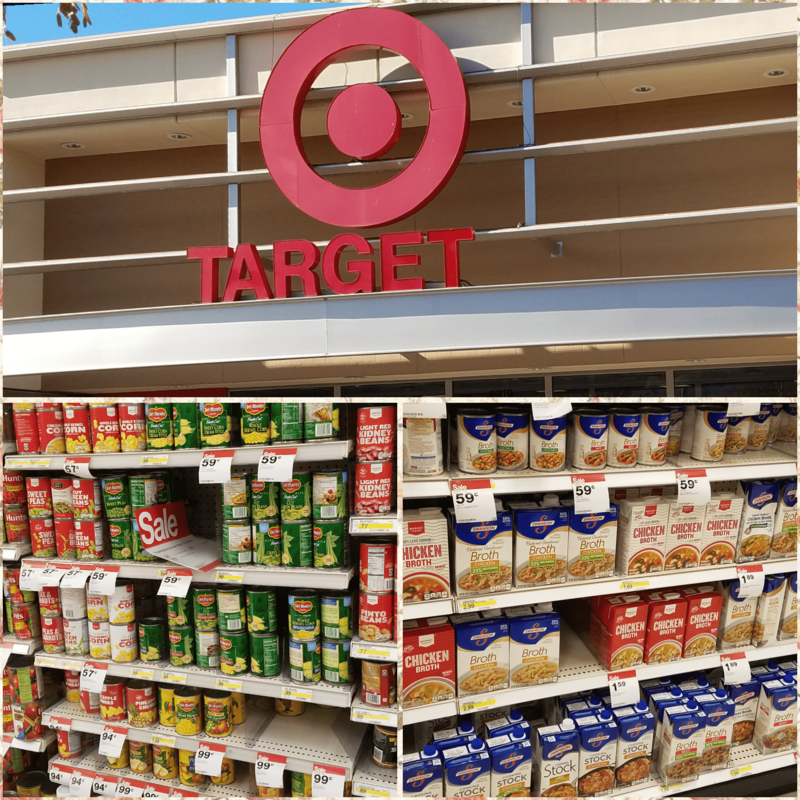 In addition to great food, I find everything I need for Friendsgiving at Target! They have everything I need to create the perfect table settings; plus decor and board games, to make it a fabulous evening! 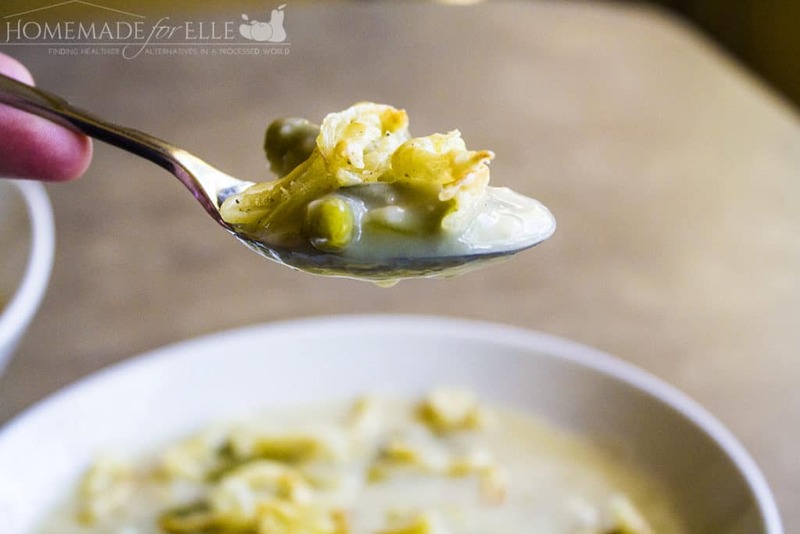 If you like starting new traditions in your home, I highly recommend creating a Friendsgiving, and serving up this memorable and delicious green bean casserole soup! 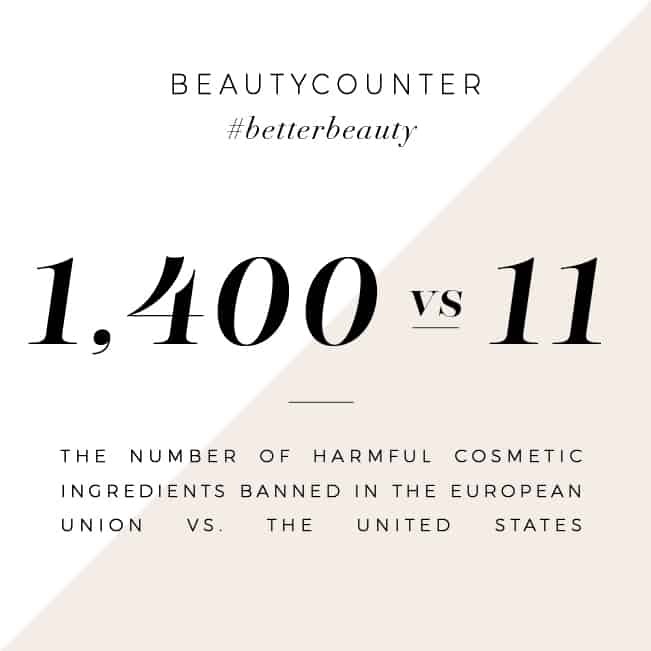 Don’t forget to grab the secret ingredients! Sounds good and think would be good with chicken or turkey added. Now this soup sounds good! You have taken a family favorite comfort food and made it into a soup. I love the idea and I know my family would love the soup! I will put it on my menu for next week!